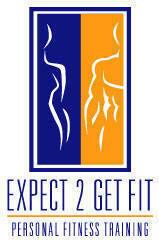 Find a Personal Trainer in Orlando, FL, Oviedo, FL, and surrounding areas. Hi, my name is Jamie. I am a Personal Trainer in Oviedo and the surrounding areas in Orlando with a BS in Exercise Science and Promotion in Health. I became passionate about this field of work. It began my last year of college when coming from a Athletic Training Program I switched because that field became to monotonous for me. A personal trainer can neither be monotonous nor non creative. The field of personal training inspires me because I can help someone reach a goal, its never boring and should always make you reach new limits, ones of which you never thought you could reach. This is something I truly believe in. I myself came from an athletic background, softball was what I lived and breathed since I was six, I now do crossfit and this is a type of workout I incorporate in my workouts. I am also a mother of two, a four year old and a one and a half year old. I gained my weight during pregnancy slowly and evenly making me only gain 37 and 35 pounds by due date. I worked out before, during and after the baby came. This made me drop my pounds quick but not necessarily easy. I am still looking to loose 10 more pounds to reach my goal weight which is 135 but I have reached my pre pregnancy weight. I am always looking to better myself. My ultimate goal is YOUR goal. Whatever it is you want to achieve, whether it is loosing weight gained, to gain weight, to loose weight you never knew how to lose, to achieve athletic gains, agility, strength, power, velocity. I want to help you achieve a better you. Your trainer Jamie.